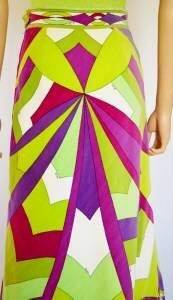 Unbelievable construction on this garment by Pucci, He is simply the BEST! THE PUCCI FAMILY HAS BEEN IN THE SILK TEXTILE BUSINESS SINCE THE 13TH CENTURY. 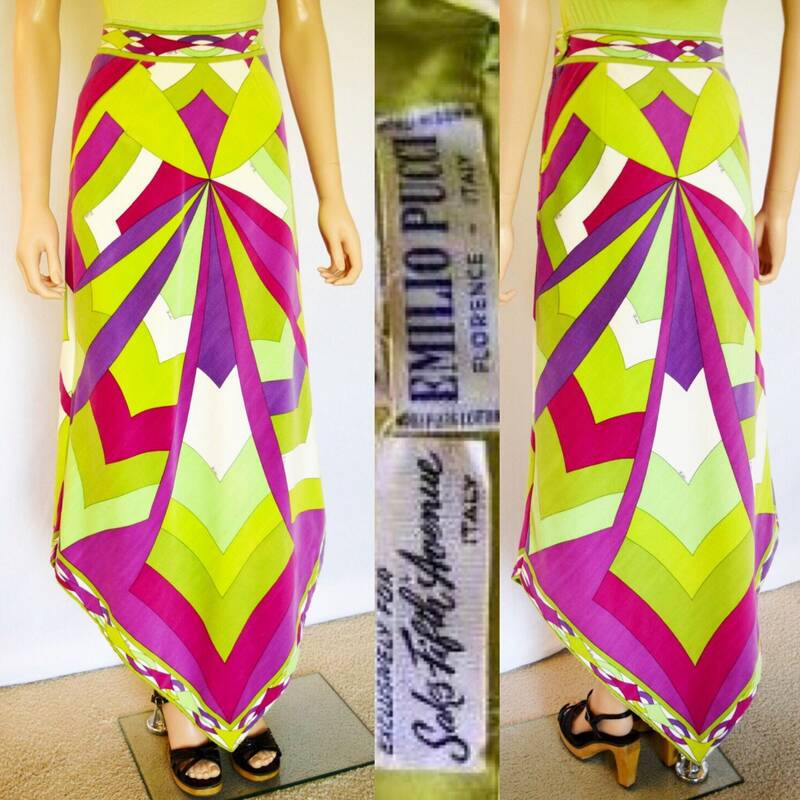 EMILIO WAS AN EXTREMELY WEALTHY MAN WHO MADE GARMENTS TO LOOK AMAZING ON WOMEN, HE NEVER CUT ANY CORNERS OR SIGNED OFF ON GARMENTS THAT DID NOT MEET HIS STANDARDS OF EXCELLENCE. 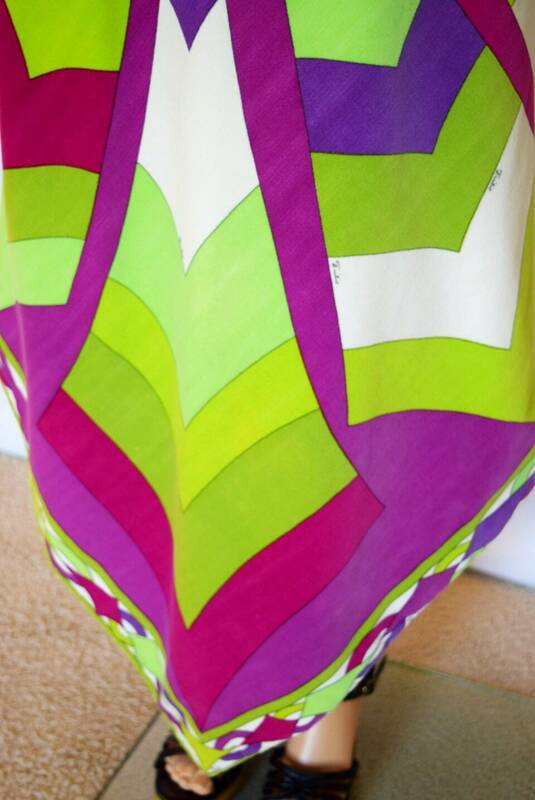 Velvet psychedelic v-shaped maxi skirt with a pattern that reminds me of a spider's web. Beautiful and amazing color scheme in pinks, purple's and greens, mixed with bits of white here and there. Zips on the side with large hook and eye closures to secure the flap. 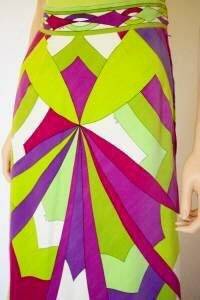 They can be moved if you need to have the skirt altered a bit to fit you properly in the waist. Lining is also in excellent condition, I usually find it to be stained or damaged. Condition: EXCELLENT with no issues! no Alterations and no damage! Professionally cleaned by expensive vintage specialists who use non toxic methods so they do not ruin the fragile dyes. 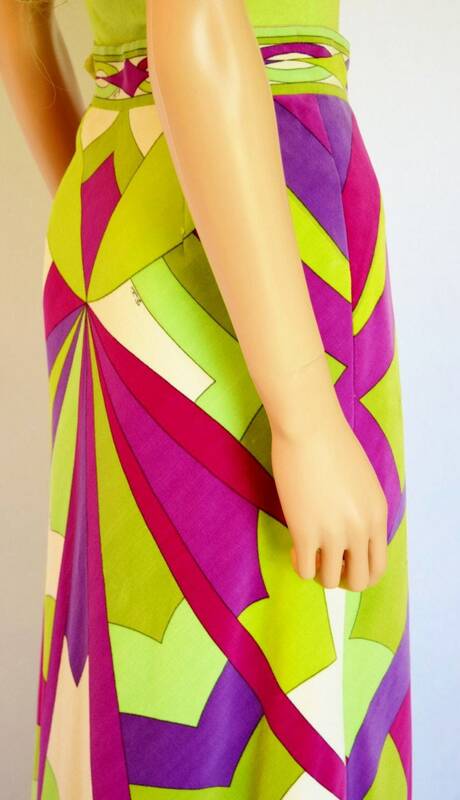 It is very hard to find vintage 60's Pucci without out major flaws.